Recently we took Sparky to the groomers and when he came back, he had on this cute little red bandana (with black scottie dogs all over it). Now over the past few years, I have gotten into the habit of saving all of Sparky's bandanas for some future craft project. Well, I never thought of one until I saw that little red bandana. 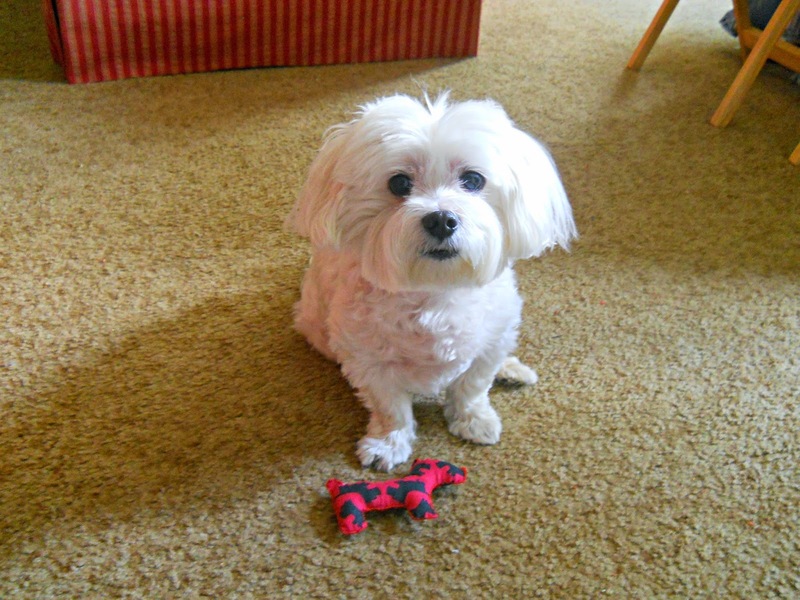 Today I'll be showing you how to turn those bandanas into simple dog toys. This project is super easy and is a great way to use up any old bandana you may have lying around. Also, I think the dog get some enjoyment by ripping that ''cute'' bandana apart (haha). Step 1: Layout your dog's bandana and trace around your pattern twice (you will want a front and a back piece). When your done you should have something like picture 2. Just a side note, I hand drew my pattern of a scottie dog but you could totally find a free pattern off the internet. Step 2: Now pin the pattern sides together and sew all the way around your toy. Make sure you leave a small hole so you can flip your toy right side out and stuff it. Step 3: When your done sewing, flip your dog toy right side out and stuff it. Once your done stuffing, sew up the remaining hole. At the end of this project I ended up doing a quick whip stitch around the whole toy. I found by doing this stitch, it makes the toy more durable and last longer for Sparky (but thats totally optional). When your done stuffing and sewing, you ready to give it to your furry four legged friend! Even if you didn't have a dog bandana, you could still make this project by substituting the bandana for your favorite fabric. What do you think? 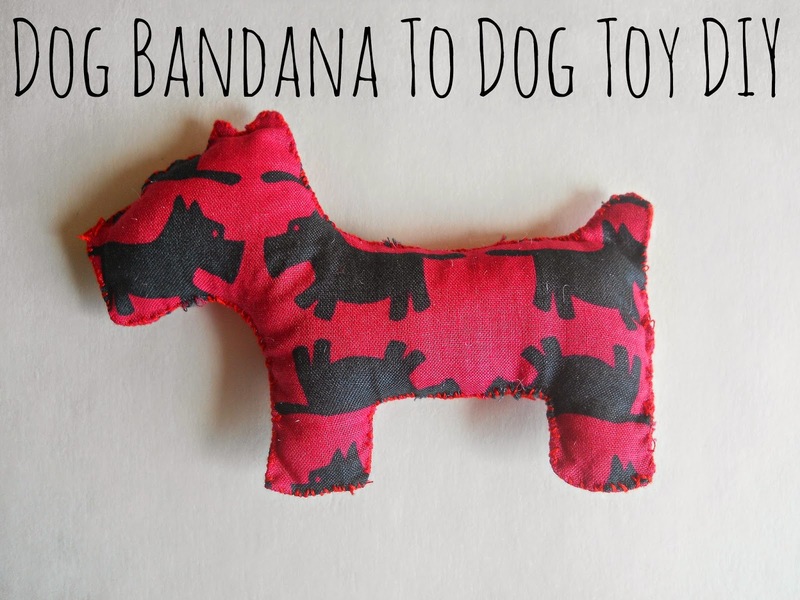 Do like this dog bandana turned dog toy?